Stretch Magic is a global favourite with bead-lovers. A popular jewellery elastic made out of stretchy elastic, it is versatile, easy to work with for beginners or children learning to bead and it won’t fray or crack easily. 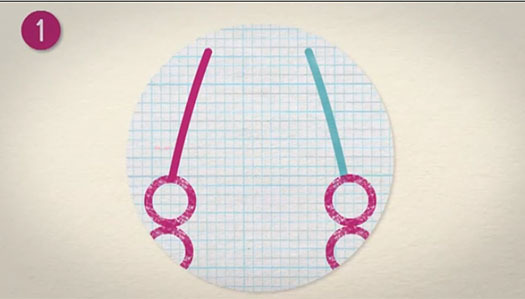 Stretch magic elastic is very effective for bracelet and necklace making and there is no need for end fastenings, as this thread can be easily secured with a surgeon’s knot once your beads have been threaded (see below). 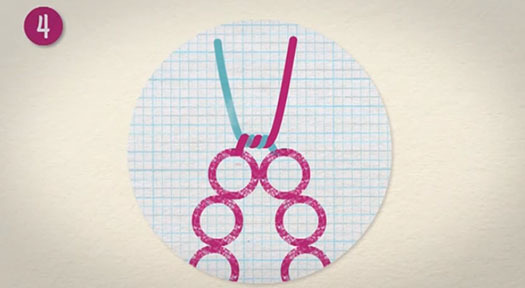 The size of your hole in your bead will determine the size of the Stretch magic you need. For example, if you are working with 8x10mm Rondells, your Stretch Magic will need to be 0.7mm or 0.8mm. Stretch Magic is available at The Bead Shop in a variety of colours and sizes, all at competitive prices. Stretch Magic Sparkle will add some dazzle to your bracelet. It is available at The Bead Shop in gold glitter or silver glitter on 5 m spools with 1 mm thickness. Stretch Magic Clear can be purchased in a 4 m measurement with a 1.5 mm width. Or you can have the 3 m length at 1.8 mm thickness. For Stretch Magic Black, choose from 10 m lengths in 0.5 mm thickness or 5m lengths in 1 mm width. The beauty of working with Stretch Magic is the ease of not having to use various end fastenings, however, it is useful to have a few pieces of jewellery making equipment on hand to make sure you get the job done well. At The Bead Shop we have a range of glues and adhesives that will help secure your thread together once it has been knotted. Zap Jewellery Gel is very strong and is applied with a tapered tip that allows for just the right amount of bond to be made. Crimp beads are ideal for jewellery making with Stretch Magic by providing a juncture to tie a secure knot. Have a look at our range of antique copper plated, gold plated and silver plated crimp beads within the Jewellery Findings section to see which goes best with your design. Nose pliers are also useful when making working with Stretch Magic Thread; we have a range of Jewellery making tools to choose from. When you have threaded all your beads onto your Stretch Magic you will need to tie it in a very tight knot so no beads are in danger of falling off. 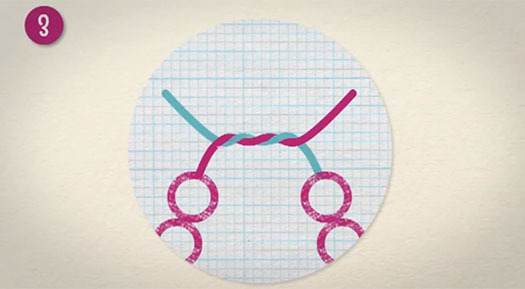 Tying a Surgeon’s Knot, for example, is a necessary skill to be acquired in bracelet making. 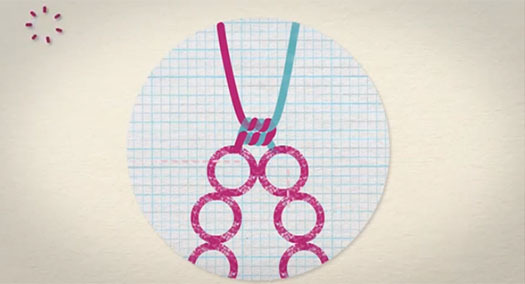 Once designers have mastered the Surgeon’s Knot, a variety of intricate, interesting and professional looking items of jewellery can be produced with relative ease. 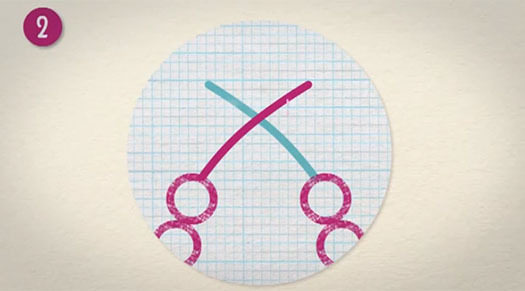 Follow the instructions below with a steady hand, roll of Stretch Magic and pair of scissors to learn the Surgeon’s Knot technique. For bracelets that have beads going all the way round. Place your beads on. Cross over the two ends. Then with your right-hand, wrap round two times. Pull each end to tighten making sure the beads have come together. Keeping the first knot secure and repeat step 2 & 3. Make sure the knot is tight and has fully closed, then trim ends to finish.